Windows, doors, overhead doors and other openings in concrete or brick present a challenge. Your openings have to be done right—the first time. 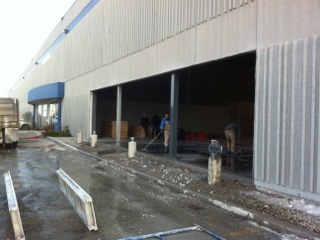 Need Overhead Doors? Call CanWest. We have extensive experience cutting new openings or enlarging existing openings in walls for windows and doors. Our highly trained personnel know how to ensure a perfect fit and will even clean up the mess after. With thousands of installations, you can be sure your windows and doors are installed right.